Tim The Tourist travels Australia. Don't follow me I'm probably lost. 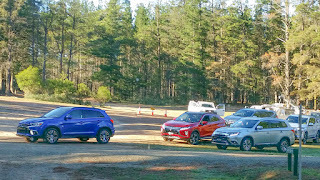 Belanglo Forest is usually good if you are looking for a quiet night south of Sydney. 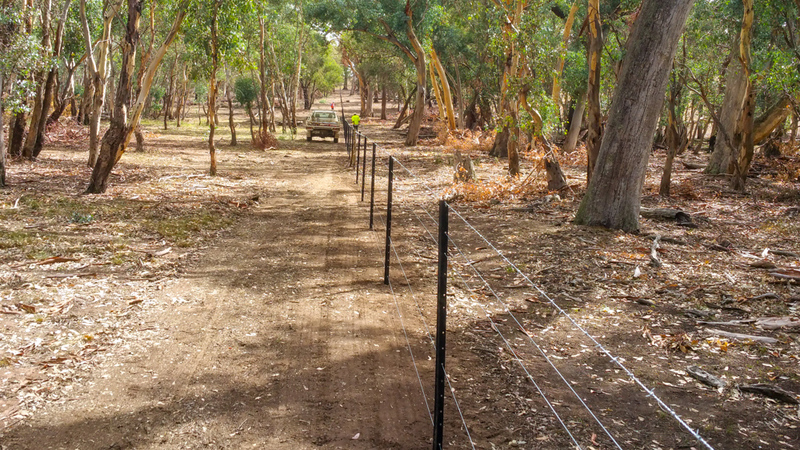 Three km of corrugated dirt road tests the suspension before pulling into Daly's Clearing campground. 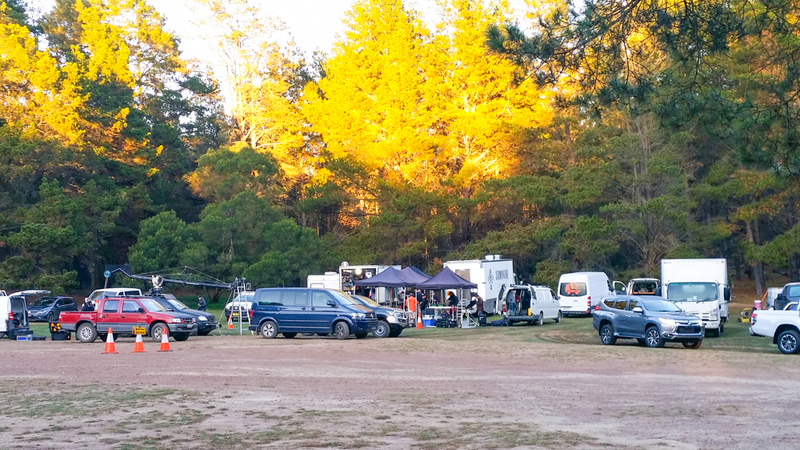 Surprising to see cars and trucks everywhere, looks like a film crew setting up. 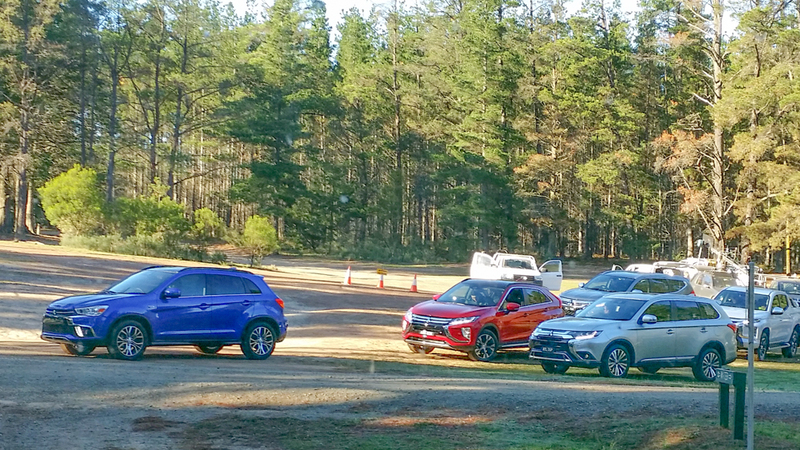 Yep, a new range of Mitsubishi SUVs are being tarted up for the cameras. Fascinating to watch the time, effort and man-hours spent, strapping a camera to the bonnet, to get a shot of the driver through the front windscreen. 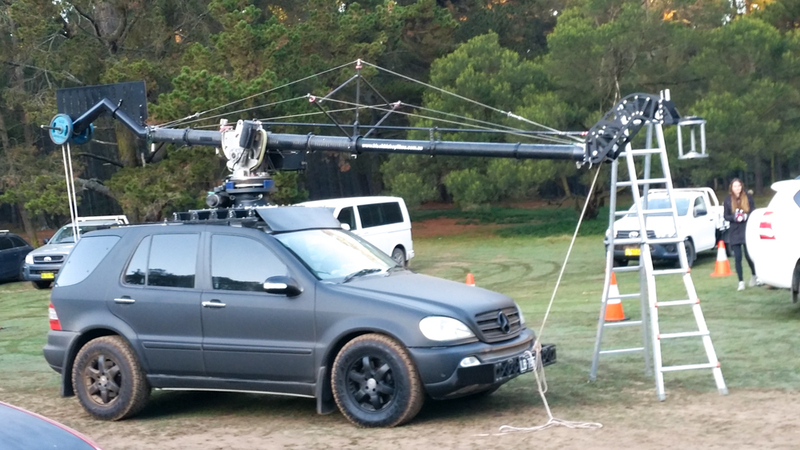 Then washing the cars again before next morning filming five of them driving down forestry tracks. A quiet nights sleep and free entertainment courtesy of the film crew, now I'm ready to do battle with the Sydney traffic. Cruising north on the Hume Hwy from the border of Victoria and can't help but notice that caravans are swarming. Especially smoko and lunch at places like Holbrook and Gundagai. People watching, always interesting, in this case, whilst eating lunch. Multiple people, travelling with dogs, doing selfies with their dog and the dog on the Tuckerbox at Gundagai. Hmm, *thinks* how many dog statues are there in Australia. Hmm, *thinks* so how far would you travel to get a pic with you and your K9 and a dog statue? Would your dog smile? Did any that I saw today smile? Always hard to tell. Teeth: angry dog ~ happy dog? Stopover tonight is at Jugiong. Bad timing as the pub, being open 6 days a week, but not today Monday. So I expect all the vanners are eating baked beans. Not me, roast lamb tonight. Actually reheating leftovers, but lovely just the same. Just doing a coupla hundred km per day it has taken me a week to get to Boorowa. Boorowa is about 100km, as the crow flys, to Batlow, my destination for next month. 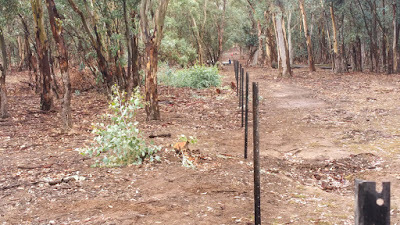 Till then I'll be doing some fence rebuilding with BlazeAid. 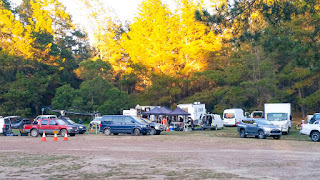 The camp is in the town showgrounds and has power, water and shade, nice. 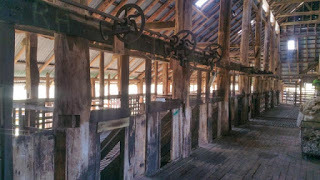 This time I'm pleased to be shifting about from farm to farm doing just a few days here and there. Working different farms means a variety of work and people. It's a good camp. The local townspeople prepare our weekday evening meals. On weekends we either go out as a group for a sponsored meal at a club or pub around town or make do at the camp. The meals are always good. 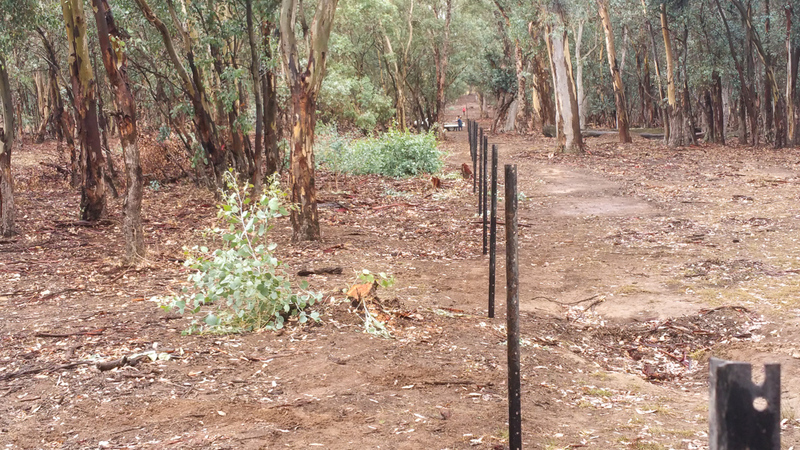 Now progressing from clearing fences to building some new ones. Steadily ticking off farms as completed as we go. 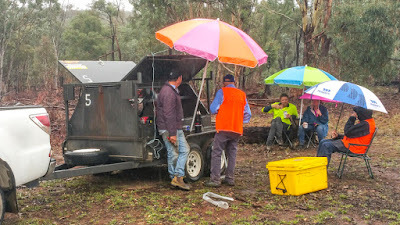 Smoko on an overcast wet day in the paddock. Yep, another fence photo! Part way finished. Looking better. Just need to add the ringlock to keep those pesky sheep in. Tim The Tourist - time4tour.com. Picture Window theme. Powered by Blogger.